Lunt Solar Systems does everything possible to match the quality of each optical component in their systems for maximum performance. For visual observers they designed a very high quality zoom eyepiece - the Lunt 7.2 - 21.5mm Zoom Eyepiece 1.25". A notable feature of this zoom eyepiece is that although the optical design offers extremely high quality views of the sun, it is also an exceptional eyepiece for observing objects in the night sky too. Lunt minimized internal reflections in the Lunt 7.2 - 21.5mm Zoom Eyepiece 1.25" by using superb multicoatings and carefully designed internal baffle system and blackened lens edges. While not the widest field zoom on the market, this particular eyepiece offers a superior level of field and colour correction to more expensive and wider zoom offerings. 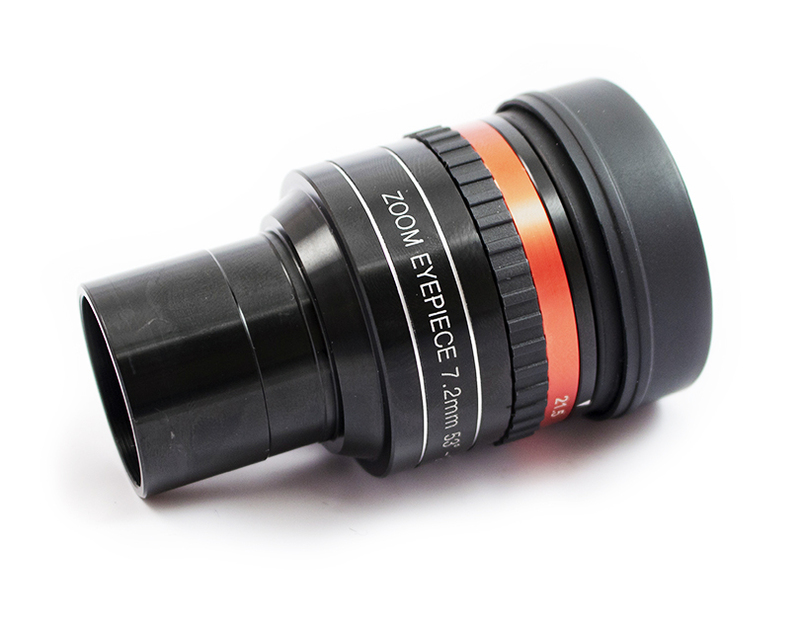 This Lunt zoom eyepiece is almost perfect parfocal, from one end of the zoom to the other - needing only 0.5mm to refocus from its widest to highest power settings. This zoom also features a very nice height adjustable eyeguard to protect your eye against daylight reflections and to help you to find the perfect eye position.